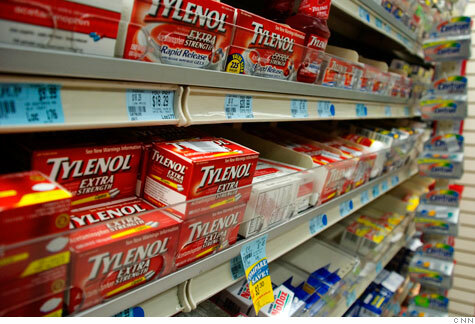 NEW YORK (CNNMoney) -- The government is taking over three Tylenol plants following a blizzard of drug recalls and a Food and Drug Administration criminal investigation into safety issues at the factories. The FDA and the Justice Department on Thursday took action against McNeil PPC and two of its executives -- its vice president of quality and its vice president of operations for over-the-counter products -- for failing to comply with federally-mandated manufacturing practice. McNeil, a division of Johnson & Johnson (JNJ, Fortune 500), said it had agreed to put its plants -- one in Las Piedras, Puerto Rico, one in Fort Washington, Pa. and one in Lancaster, Pa., under FDA supervision. The agreement, known as a "consent decree," is subject to approval by a federal judge in Pennsylvania. The decree requires McNeil to adhere to a strict timetable to bring those facilities into compliance. McNeil also must retain an independent expert to inspect the three plants to determine whether the violations have been corrected, and to ensure that adequate manufacturing processes are in place. After expert certification, the FDA will determine if the facilities are in compliance. "This is a strong, but necessary, step to ensure that the products manufactured by this company meet federal standards for quality, safety and purity," said Deborah Autor, director of the Office of Compliance with the FDA. If McNeil and the executives violate the decree, the FDA may order McNeil to cease manufacturing, recall products and take other corrective action, including levying fines of $15,000 for each day and an additional $15,000 for each violation of the law. The fines can total up to $10 million annually. "We are a company that strives to do the right thing, and we succeed far more often than not. When we don't succeed, it's painful," Johnson & Johnson CEO William Weldon, wrote in a statement Thursday which was posted on the company's blog. "By moving to resolve the FDA's concerns about McNeil Consumer Healthcare US manufacturing facilities, we are able to look to the future and focus on what is most important to us: serving the millions of people around the world who rely on our products every day to meet their health care needs," he said. While a consent decree isn't an unprecedented step, that action is also not taken frequently, said Douglas Stearn, assistant director with FDA's Office of Compliance. "It is a significant step," he said. Stearn said the agency informed McNeil Thursday that it would proceed with a civil lawsuit against the company, citing its Tylenol and other drug recalls for violations of the Federal Food, Drug and Cosmetic Act. However, McNeil agreed to terms of a consent decree, which effectively warded off the FDA's lawsuit. McNeil's plants in Puerto Rico and Lancaster will continue to operate, McNeil spokeswoman Bonnie Jacobs said. But "there is the potential for some impact [in production] initially as we implement the additional steps." Stearn said McNeil can continue to manufacture and ship drugs from the Las Piedras and Lancaster plants, but not from the Fort Washington facility. The agreement also requires McNeil to destroy all drugs under its control that have been recalled from the three facilities since December 2009. Stearn declined to comment on the Justice Department's ongoing criminal investigation into McNeil's recall activities. McNeil also operates a facility in Guelph, Canada, Stearn said that plant was not affected by the agreement. McNeil's drugmaking plants have come under intense scrutiny over the past year after successive recalls in 2010 of over-the-counter pain and cold medicines such as Tylenol, Benadryl and Motrin produced at those facilities. The company shut its Fort Washington plant following a scathing FDA inspection report of the factory last May that cited 20 manufacturing violations. That facility makes all of McNeil pediatric over-the-counter Tylenol, Benadryl and Motrin medicines. The other two facilities make adult medicines, including Tylenol. In July 2010, McNeil submitted its plan to the FDA outlining steps to improve quality at its facilities. David Rosen, a former FDA official, called Thursday's developments "very serious" for McNeil and its parent Johnson & Johnson. "If McNeil violates the agreement, regulators can shut down all the production at the plants," said Rosen. Consent decrees are also very expensive for companies, he said. "McNeil will have to pay for the outside expert and the new inspections. And there's millions of dollars in lost sales from drug products that can't be marketed."